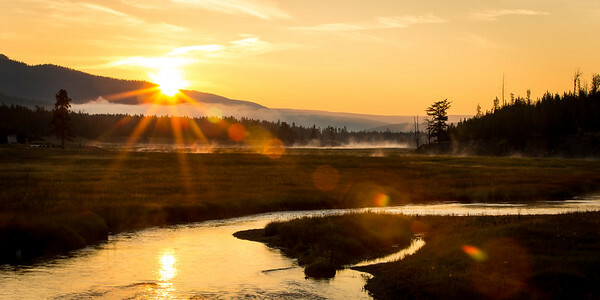 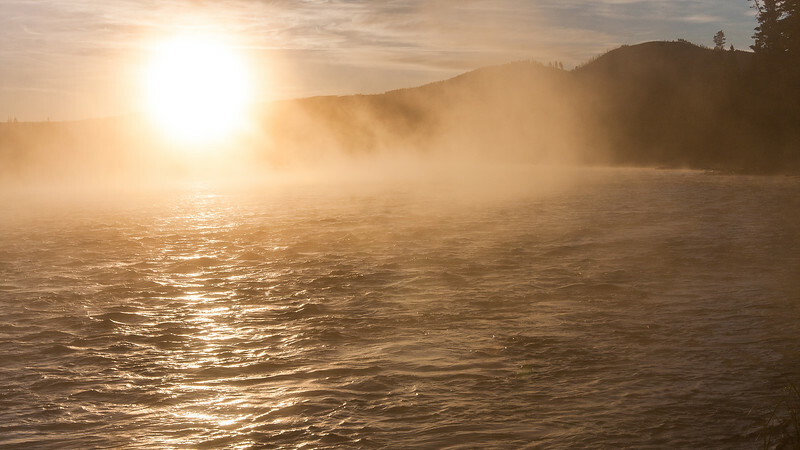 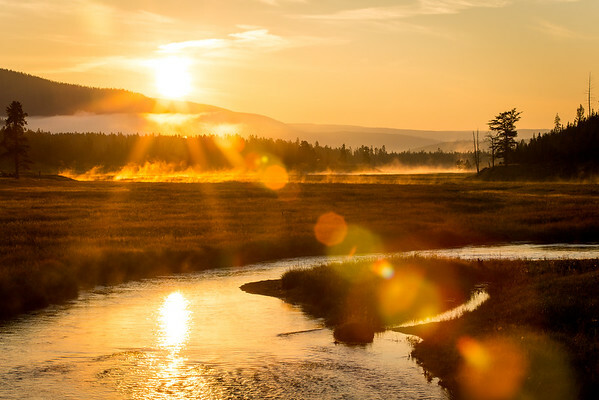 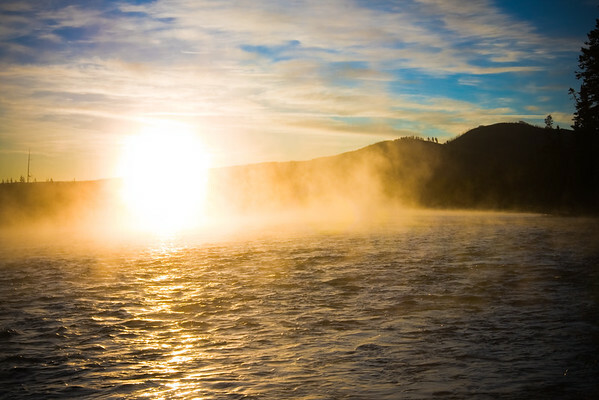 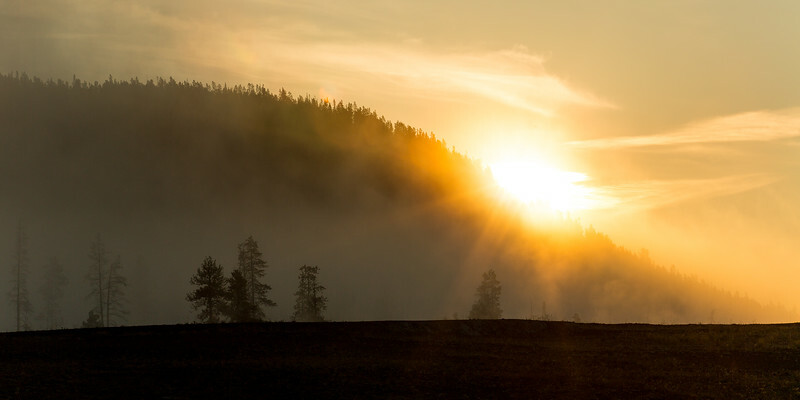 There's no time to photograph Yellowstone National Park quite like sunrise, when the steam rises up from the Madison River, almost evoking the smoke from the park's fiery past (and maybe future, given that it's a supervolcano and all). The fisherman in the distance adds a little much-valued perspective to the scene. 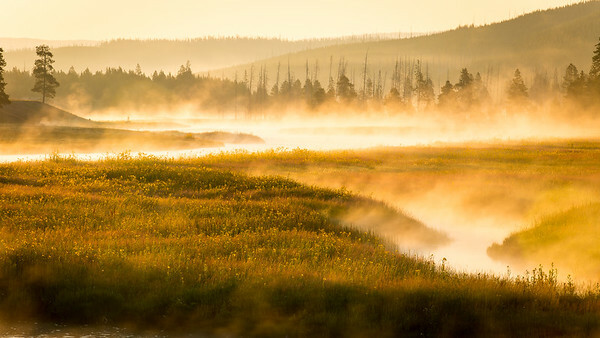 About two months before we officially became roommates, my friend Paul and I took a trip to Island Park, during which he convinced me to head into Yellowstone and shoot the sunrise for the first time. 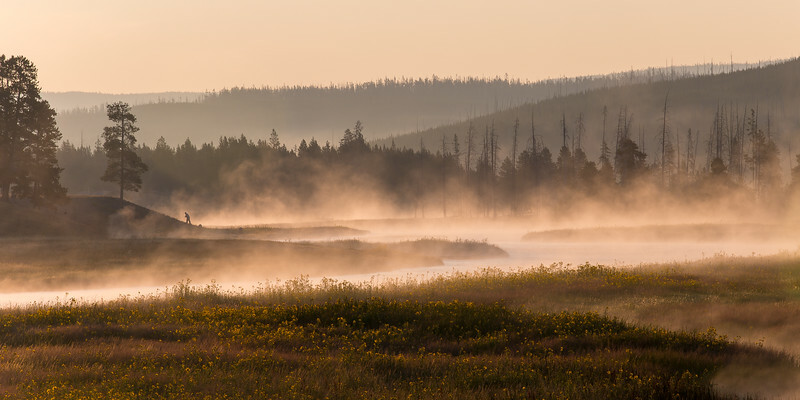 Though I'd make a pre-sunrise hike up the mountainside behind my family cabin many times, this was the first time I'd actually driven into the park pre-dawn for pictures. 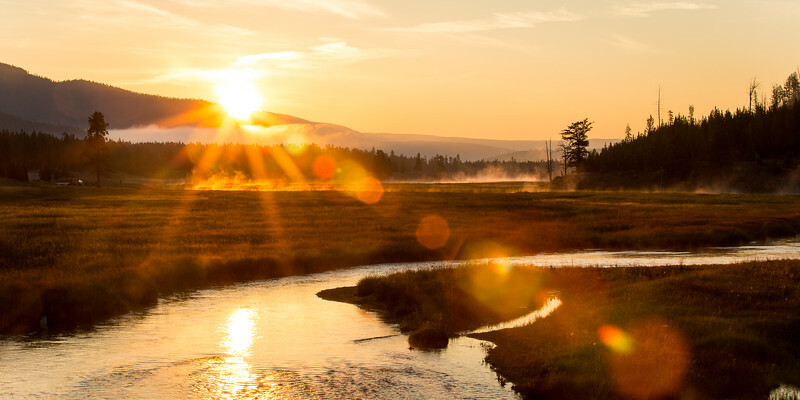 This image of fresh sunlight pouring onto the Madison River helped me stake out a brand-new tradition. 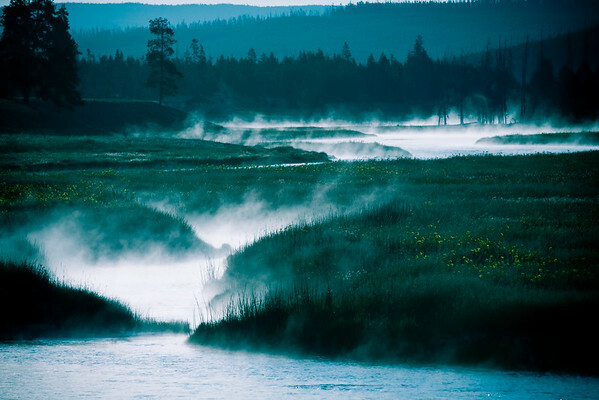 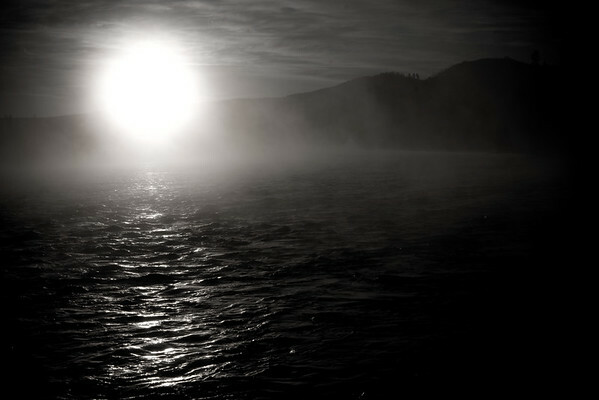 One of my favorite "mists rising from the Madison River before sunrise" shots from one of several morning shoots in Yellowstone National Park. 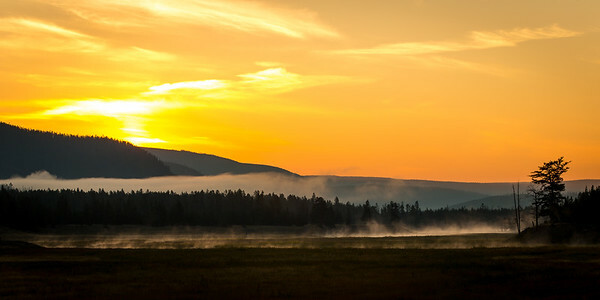 Thanks to a voucher my sister and brother-in-law got me for Christmas one year, this shot became a nice canvas print. 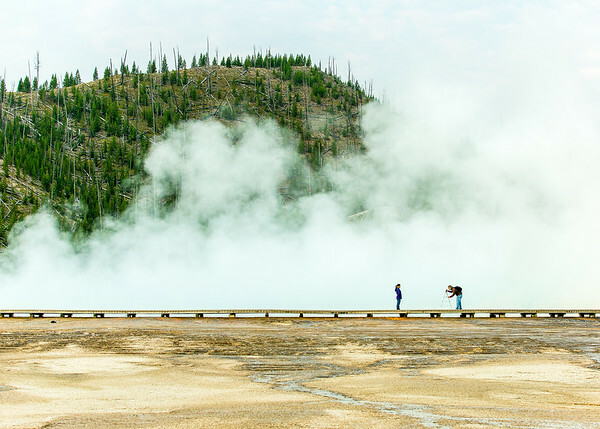 When I was eleven years old, my family visited Yellowstone National Park in the middle of the historic fires of 1988. 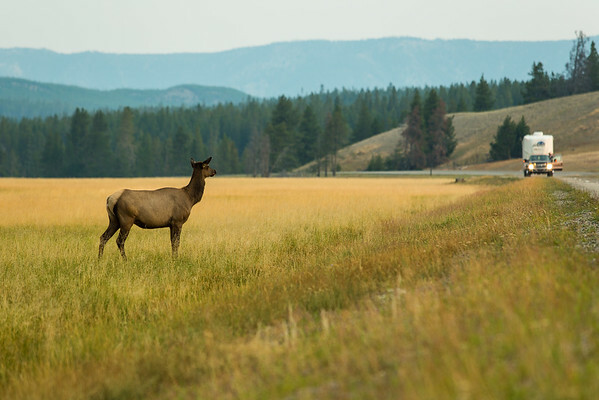 We were actually forced to re-route out the north entrance of the park when the fires jumped the road coming in from West Yellowstone, and the trip has become one of the most well-remembered of many, many visits to the area over the years. 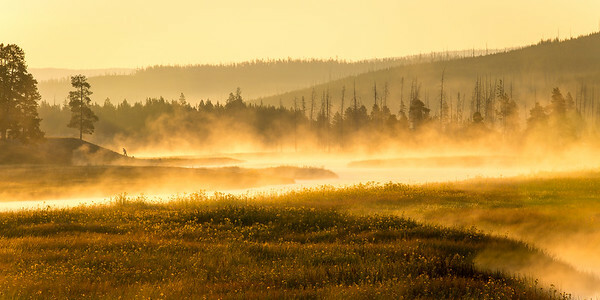 This may be my favorite example of an image that still shows the aftermath of that now-thirty-year-old summer.